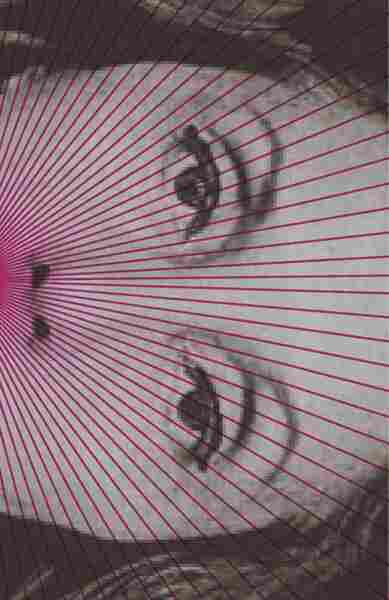 The Blazing World Of Clarice Lispector, In 'Complete Stories' Readers everywhere are rediscovering the work of Brazil's Clarice Lispector. Critic Juan Vidal calls Lispector a singular artist, whose newly collected stories linger in the mind like poetry. In 1948, Clarice Lispector wrote a moving letter to her sister Tania, offering some pointed advice: "Have the courage to transform yourself," she wrote, "to do what you desire." It's a fairly simple exhortation, and yet I wonder how many people can't manage it, how many squander their entire lives, their deep wants and ambitions on the altar of fear and uncertainty. Lispector herself was determined not to be one of them. Lispector became a literary treasure in her native Brazil after publishing her first novel, Near to the Wild Heart, when she was just 23. She was touted by critics and hailed as a national hero, gracing postage stamps and turning heads with her movie-star allure. She also went on to write some of the most arresting novels of the 20th century, including The Passion According to G. H. (1964) and Água Viva (1973). In time, her penchant for the bizarre earned her a reputation as "the great witch of Brazilian literature." Recently — and in large part due to Benjamin Moser's 2009 book Why This World: A Biography of Clarice Lispector — readers everywhere are rediscovering her work. In his introduction to The Complete Stories, published now in a translation from Katrina Dodson, Moser calls Lispector a master of narrative: "Her stories are shot through by a ceaseless linguistic searching, a grammatical instability, that prevents them from being read too quickly." What is perhaps most striking about stories like "The Escape" and "Daydream and Drunkenness of a Young Lady" — which deals with a discontented housewife on the brink of losing her mind — is the way they stay with you long after you've completed them. The stories in this collection are ones you can live and wrestle with, like difficult scripture. From the punctuation to the use of repetition, every small detail powers the whole and makes an indelible mark; in "Daydream," the housewife lies in bed "thinking, thinking." Similarly, in "The Fever Dream," a man chooses to remain indoors on a perfectly sunny day, as if outside it were "raining, raining." Because, Lispector writes, "He's young, after all, he's young." Reading Lispector is like being handed a world on fire. Or rather, a number of blazing worlds that at any moment could explode and level everything around them. These stylistic elements give each story a poetic quality that lingers in the mind like a chorus, or like a painting with multitudes of purposeful and compounding layers. It's a welcome occasion when literature can so elevate simple words that you question whether you might be under a spell. And here it happens, over and again, each piece serving as a separate visitation until the reader shares the plight of Tuda, the 17-year-old girl in "Gertrudes Asks for Advice," who at night is kept awake by her thoughts. A one-time fashion journalist, Lispector was also a wife and mother. Many of her characters, wives and mothers themselves, yearn to experience a life beyond the mediocrity they find themselves in. Her fiction both sympathizes with their hunger and makes it artful. In "Love," Lispector writes of Ana, a mother who, riding home on a tram with bags of groceries in tow, experiences a sort of spiritual crisis. After seeing a blind man chewing gum, she is thrown into a whirlwind of her own imagination. "In the trees the fruits were black, sweet like honey," she muses. "On the ground were dried pits full of circumvolutions, like little rotting brains. The bench was stained with purple juices. With intense gentleness the waters murmured. Clinging to the trunk were the luxurious limbs of a spider. The cruelty of the world was peaceful. The murder was deep. And death was not what we thought." Reading Lispector is like being handed a world on fire. Or rather, a number of blazing worlds that at any moment could explode and level everything around them. And yet they are worlds you choose to hold, because their melancholy holds a certain depth of meaning. Through these 85 stories, these mini invasions, it's apparent that yes, Clarice Lispector was indeed a singular artist. Decades after her death, she continues to champion the possibilities of language, and its ability to mesmerize.